It’s spring in Vancouver, which means some folks are enjoying sweet treats, spring activities, and the Easter bunny, while some are celebrating with — real bunnies? Vancouver’s largest rabbit rescue and education societies are joining forces on Easter Sunday to present a rabbit experience you didn’t know you needed: The Easter Bunny Bunanza. 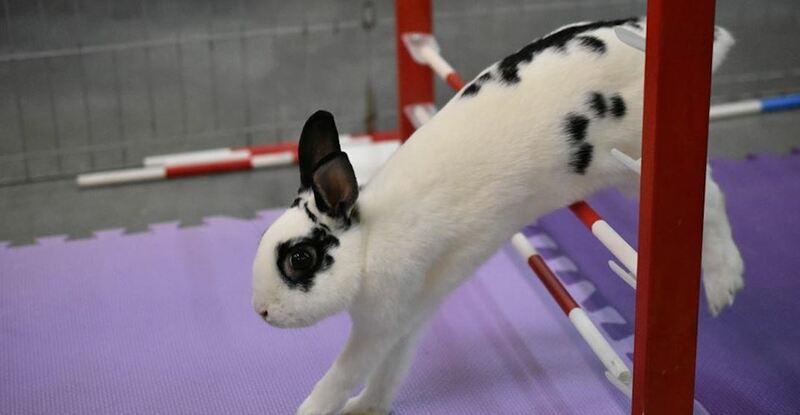 The event will feature a “Rabbit Agility” demonstration courtesy of the Vancouver Rabbit Agility Club, and Vancouver Rabbit Rescue and Advocacy will host “Hoppy Hour” for guardians to bring their own bunnies to socialize with other rabbits. Rabbitat will host its’ signature “Meet n’ Treat,” allowing people to feed healthy treats to the many willing bunny participants. There will also be bunny-themed crafts and treats on hand for the guardians and lots of information for potential owners, but the event is open to those who want to enjoy the fluffy little creatures without taking on the commitment to fulfil their Easter bunny fix.